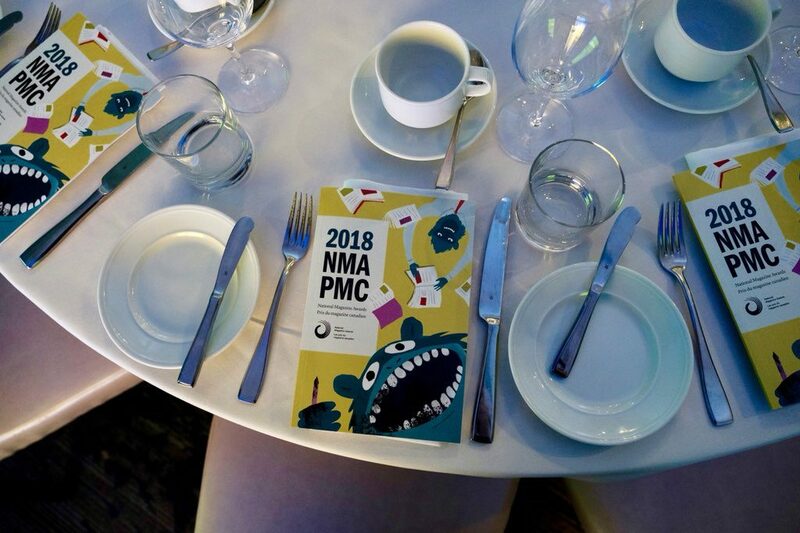 On Friday, June 1, the National Media Awards Foundation presented the winners of the 41st annual National Magazine Awards at a gala at the Arcadian Court in downtown Toronto, hosted by journalist Noémi Mercier. The National Magazine Awards celebrate excellence in content creation for Canadian publications. At the 2018 awards gala, Gold and Silver medals were presented in 29 categories covering written, visual and integrated magazine content, as well as special categories like the Magazine Grand Prix, Editor Grand Prix, Best New Magazine Writer and the Foundation Award for Outstanding Achievement. Among the winning magazines and content creators were 20 Magazines Canada members: Alberta Views, Avenue Edmonton, Azure, Best Health, Canadian Geographic, Eighteen Bridges, ELLE Canada, ELQ Magazine, FASHION Magazine, Flare, Inuit Art Quarterly, Literary Review of Canada, Maclean’s, Malahat Review, Prairie Fire, Prefix Photo, The Site Magazine, The Walrus, Toronto Life and Vancouver Magazine. Our congratulations to our members, and to all of the winners and finalists! 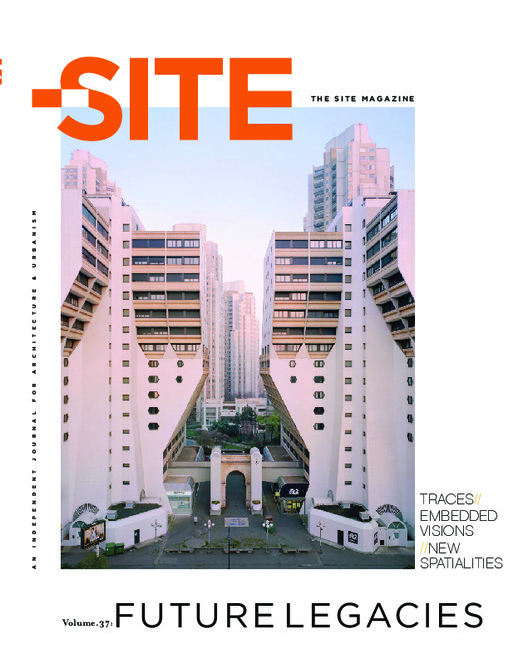 Literary, architecture and urbanism journal The Site Magazine was named magazine of the year, winning the night’s top honour, the Magazine Grand Prix. Winners of the six Best Magazine award categories, announced at the awards gala, competed for the Magazine Grand Prix. This award honours the Canadian magazine that delivers the best consistency, packaging and reader experience; that demonstrates overall excellence in bringing teams together to create a spectacular product; and is aspirational and inspiring, helping to take magazine media to the next level. News and general interest magazine L’actualité won Best General Interest Magazine and was also the most-awarded publication of the night, receiving three Gold and four Silver medals, as well as six Honourable Mentions—including in the Editor Grand Prix category, for editor Charles Grandmont. We recently spoke with Grandmont about leading L’actualité through their largest rebranding exercise ever in 2017, where the goal was to offer the magazine’s readership more and capitalize on opportunities in the digital space. Read that conversation with Charles Grandmont (in French). Chatelaine editor Lianne George was awarded the Editor Grand Prix, honouring an individual who is making an outstanding impact on a magazine as an editor. Chatelaine was also one of three finalists in the Best Lifestyle Magazine category, receiving an Honourable Mention. We recently spoke with George about the ambitious multimedia editorial packages that Chatelaine has produced annually for the last three years, each based on major national surveys commissioned by the magazine. 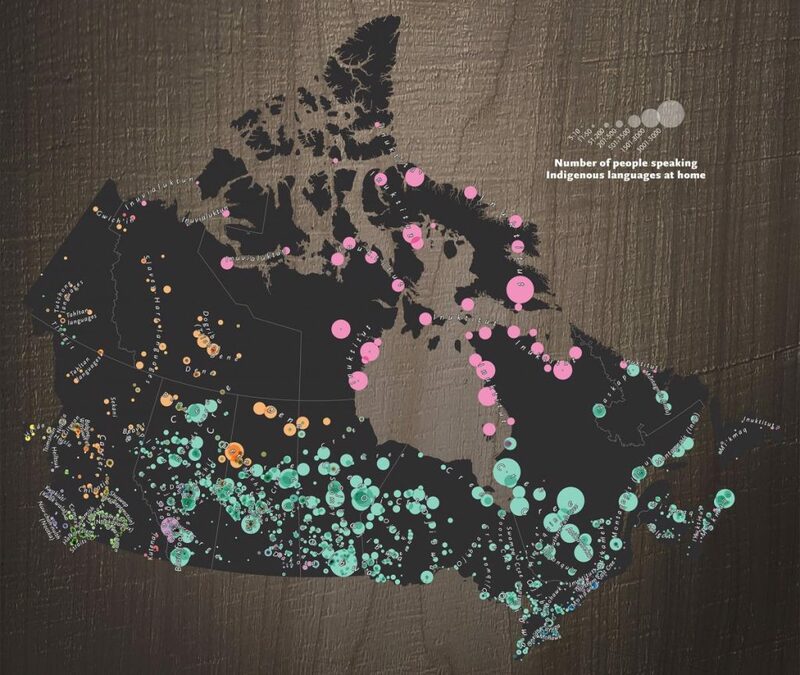 The Canadian Geographic editorial team won two Gold medals, in One of a Kind Storytelling for their “Indigenous Languages of Canada Poster Map,” and in Long-Form Feature Writing for Charles Wilkins’ story “Trash Nation.” Canadian Geographic is no stranger to publishing innovative editorial projects and storytelling: in 2017, they were the first Canadian content producer for Google Earth Voyager with their project “Canada’s Residential Schools,” which gives users a small glimpse into the horrors of the residential school system that operated from 1831 to 1996. We spoke with Ellen Curtis, Canadian Geographic‘s Director of Education, about that project. FASHION Magazine also received two medals, one Silver in the Cover Grand Prix for their 40th anniversary issue, “40 Years of Style,” and one Gold, winning Best Fashion & Beauty Magazine. FASHION Magazine editor-in-chief Noreen Flanagan recently told us that the magazine’s chief strategy is to be adaptive—a compelling intention for a 40-year-old magazine, and one which grounds their team’s creation of original, striking and entertaining content, across platforms. We talked with Flanagan about how that strategy plays out in video, where FASHION has seen a lot of success. We also spoke with St. Joseph Media VP and Group Publisher Jacqueline Loch about how FASHION has successfully driven advertising revenues in a declining market—another compelling publishing story, this time from the business side. Inuit Art Quarterly and Hayo both won a National Magazine Award for the first time. Independent travel, arts and culture magazine Hayo won Best Special Interest Magazine of the year. 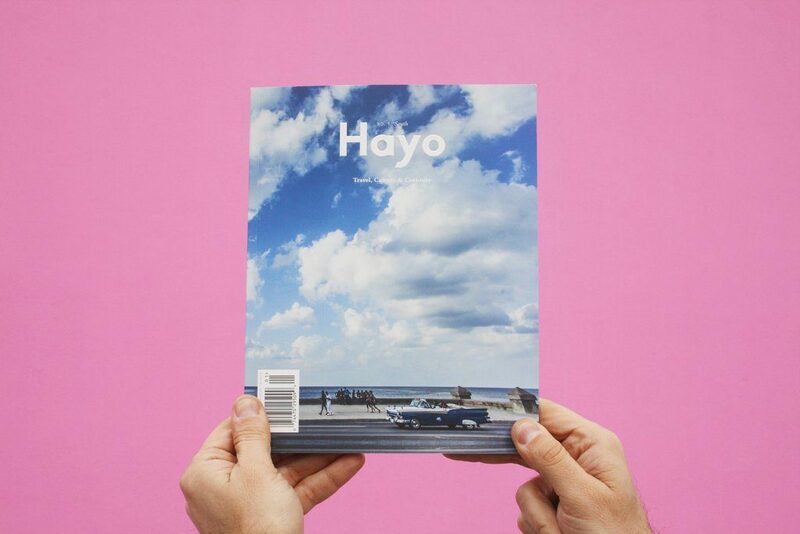 We recently spoke with Hayo‘s founder and editor-in-chief Joanna Riquett about why she decided to start this magazine, and her strong vision for what a travel and culture publication can deliver. Inuit Art Quarterly was one of three finalists in the Best Art & Literary Magazine category, receiving an Honourable Mention, and won a Silver award in One of a Kind Storytelling for “30 Artists to Know,” published in their 30th anniversary issue. “30 Artists to Know” is an ambitious editorial package profiling 30 Inuit artists, which IAQ saw as an opportunity to stir new interest in and challenge preconceived ideas about Inuit art. We spoke with editor Britt Gallpen about how the team pulled all of the story elements together. Visit magazine-awards.com for a complete list of winners and finalists in all categories.